White Sox left-hander Carlos Rodon was removed from a minor league rehab start Thursday after being hit in the forehead by a line drive. 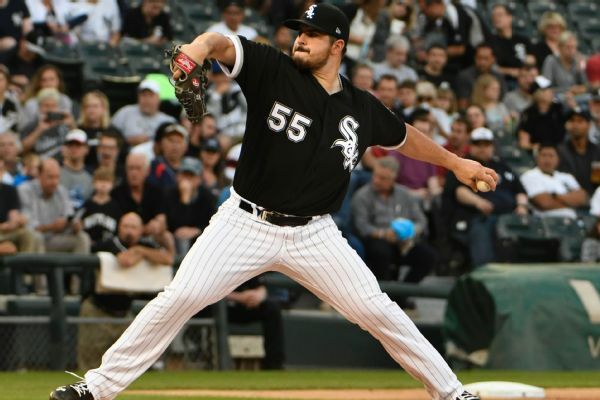 Coming off arthroscopic surgery on his left shoulder last September, starting pitcher Carlos Rodon said Friday that he's feeling good and hopes to rejoin the White Sox in late May. He expected to begin pitching in extended spring training next week. 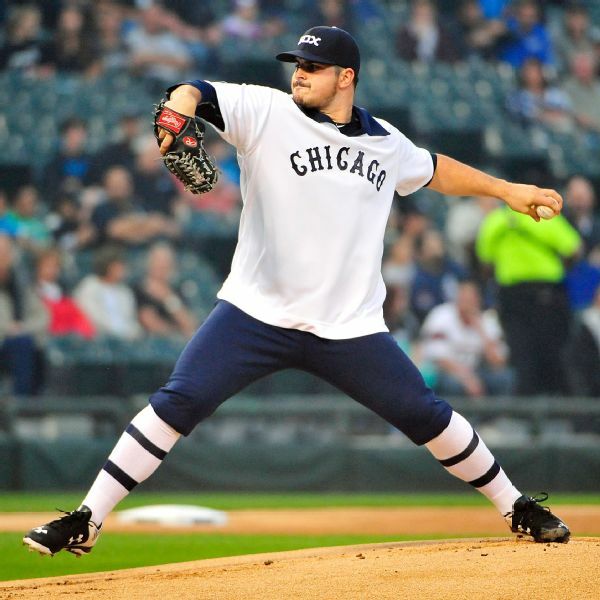 White Sox left-hander Carlos Rodon, who had shoulder surgery in September, has been cleared to begin a throwing program. 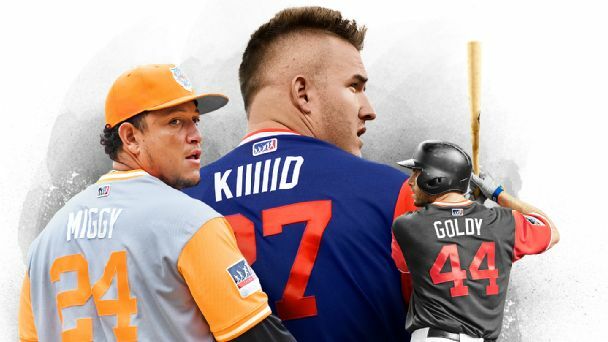 The White Sox announced Thursday that left-hander Carlos Rodon underwent shoulder surgery and will be sidelined for six to eight months. 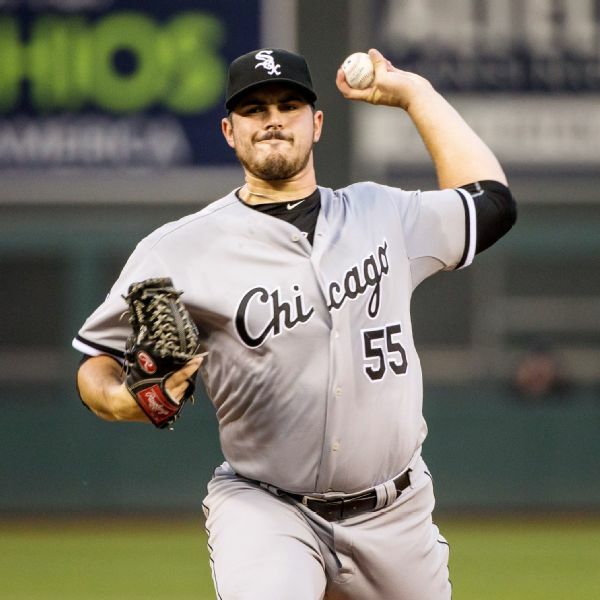 The White Sox elected to scratch Carlos Rodon from Thursday's start against the Indians due to a stiff left shoulder. 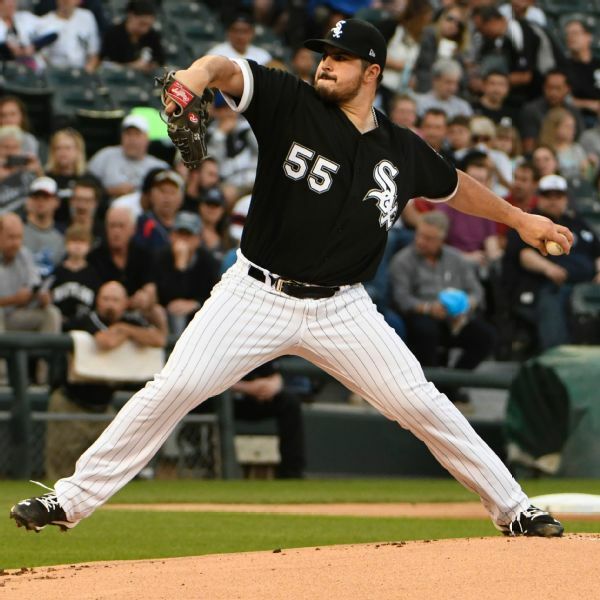 Rodon was sidelined earlier this year by bursitis in his left biceps. After Jose Quintana was sent to the Cubs in a trade on Thursday, two of his former White Sox teammates used a sappy song to bid farewell. 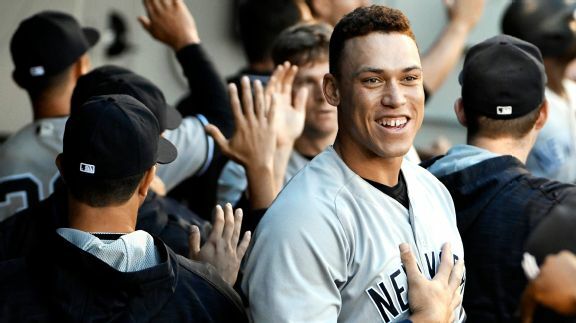 Instead of using words to respond to the Chicago crowd's jeers, the Yankees rookie sensation answered with a two-run homer.